Over 17% of the web is run on the WordPress framework, so it’s crucial to differentiate your site from all the others. 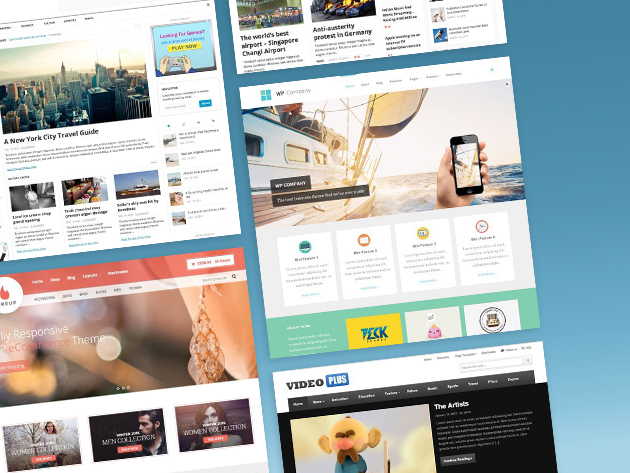 Theme Junkie provides the features and design power to make your site stand out, offering over 50 fully-responsive, unique Wordpress themes for a fraction of the cost. For a limited time, you can get a lifetime subscription for 82% off at the TechSpot Store. The collection of themes usually runs $200, but the current deal gets it for just $35. Bonus Deal: Don't miss out on the ZeroLemon SolarJuice 20,000mAh battery pack - it's currently 50% off at the TechSpot Store. Pro Tip: We've set up a new TechSpot Store RSS feed so you can receive all the latest deals posted on the store via XML. Alternatively, you can sign up to the Store's newsletter and receive weekly highlights via email.